We'll check out the largest Erawan Museum. Then we'll visit many places in Thailand within a day by bicycle at Ancient City (Muang Boran). It is an open air museum shaped in the form of Thailand. You'll learn about the history and culture tidbits behind these must-see places. Visit Erawan Museum where you can see The largest Erawan(three-headed elephant) Museum of Thailand, beautiful mythical fairy sculptures and stunning wall paintings. The place encompasses around 800 acres and is home to many Instagram-worthy landmarks. You will get unforgettable memories and lots of nice pictures. 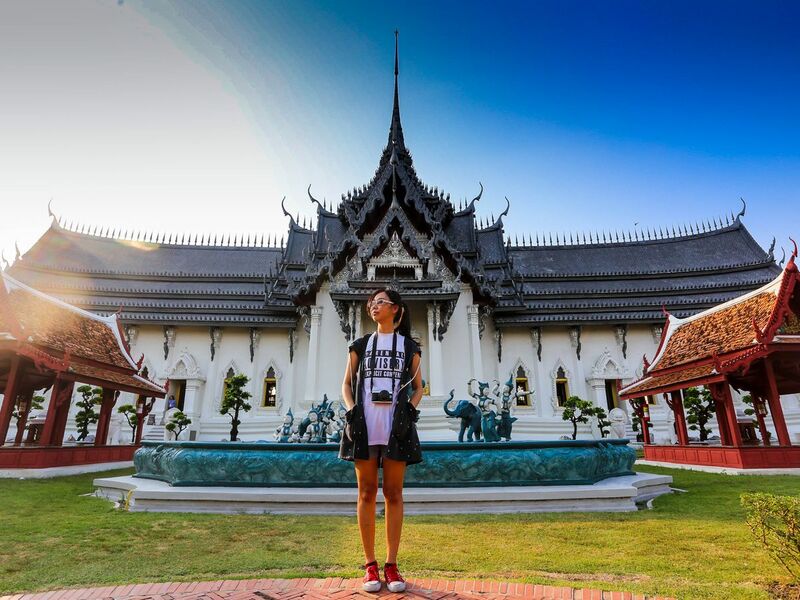 Erawan Museum and Ancient city are one of the best places to check out and learn more about Thai arts and cultures. This place has everything you would love to see about traditional Thai arts and history. It's definitely an all-in-one place to learn more about Thai people and our cultural richness.